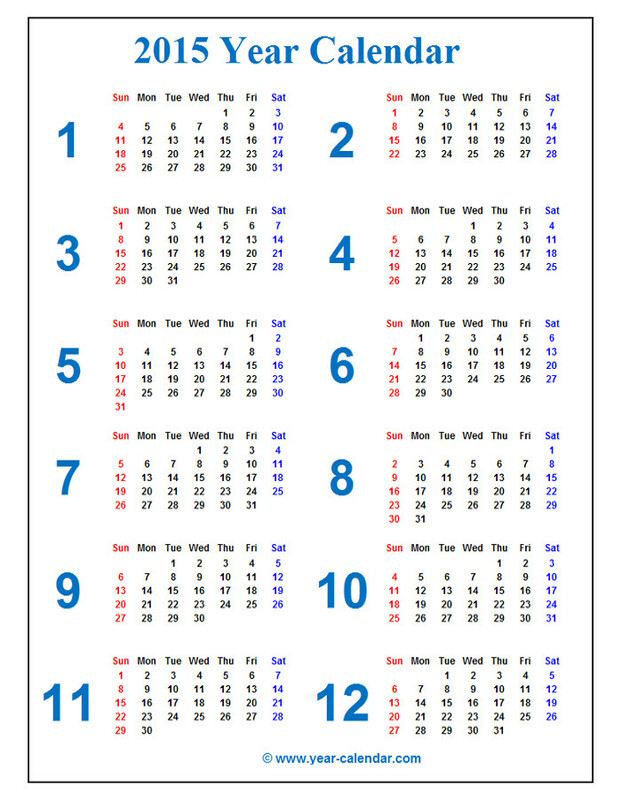 Please find below free to use long 2015 calendar in 2 x 6 design. This 2015 calendar is totally free to use but please link back to this site thank you. 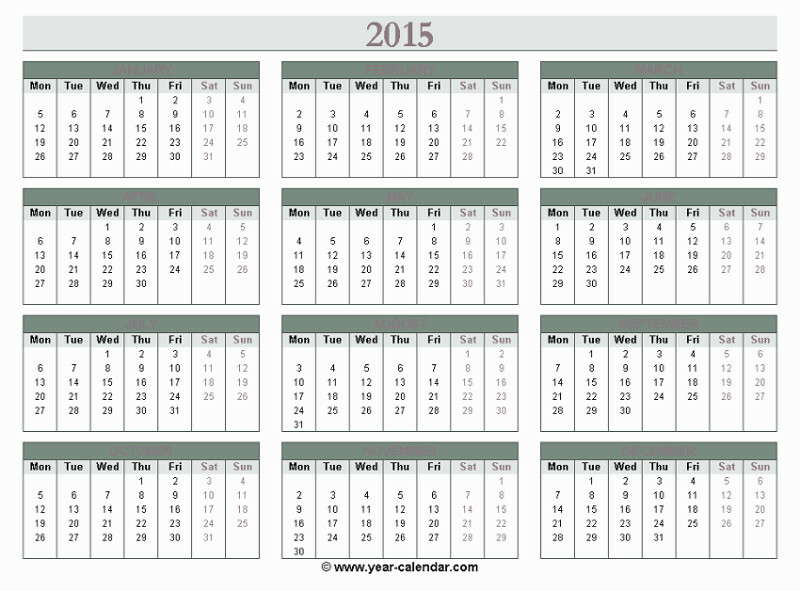 This black and white 2015 calendar is free for personal use but is strictly not to be used on other websites. Web-masters you have been warned!! 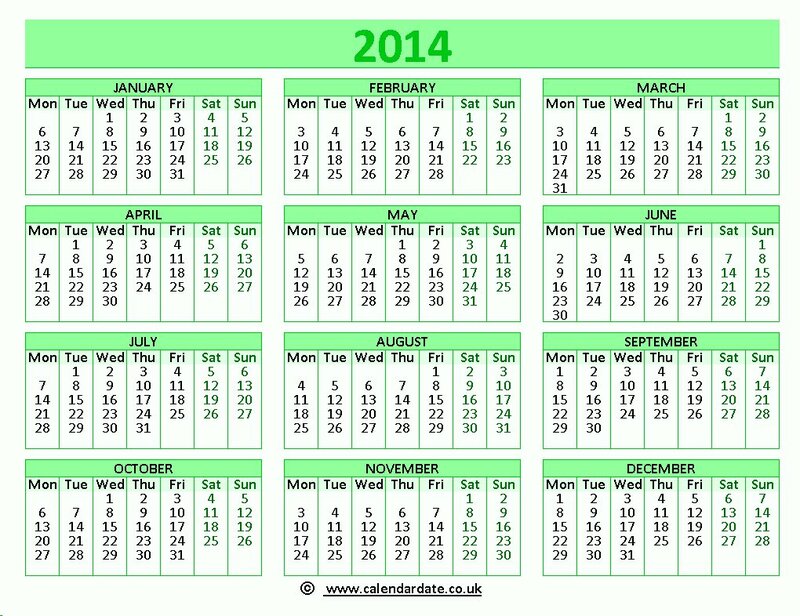 Here is a totally free, downloadable and printable 2014 Calendar. 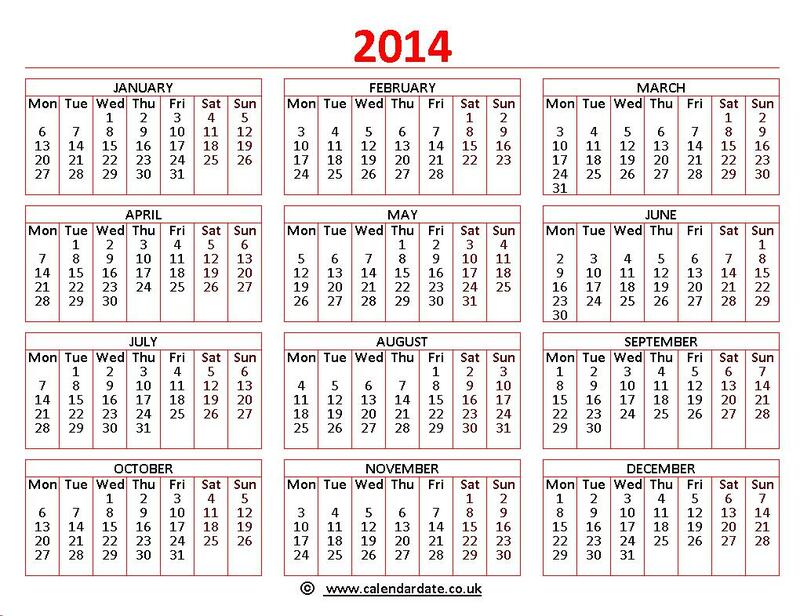 Please use it for all your 2014 planning needs. 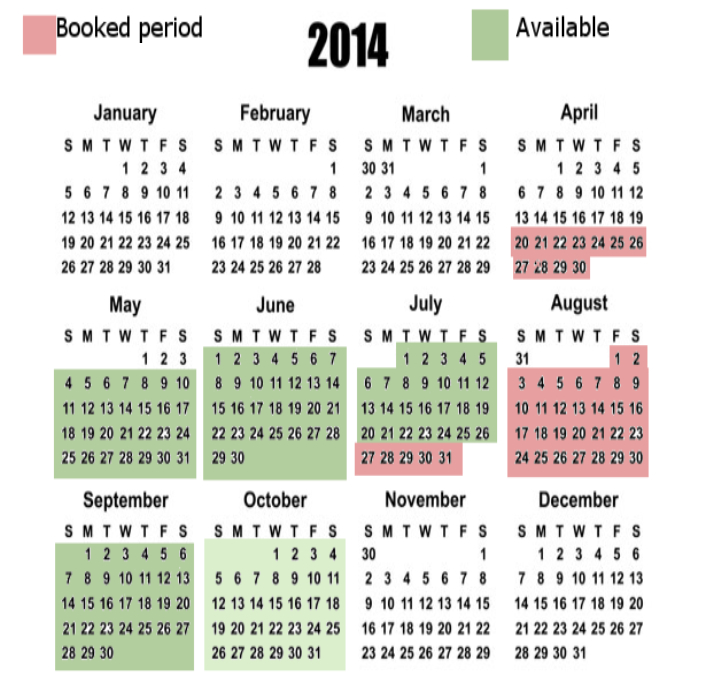 New 2014 holiday calendar below, red areas are already booked. 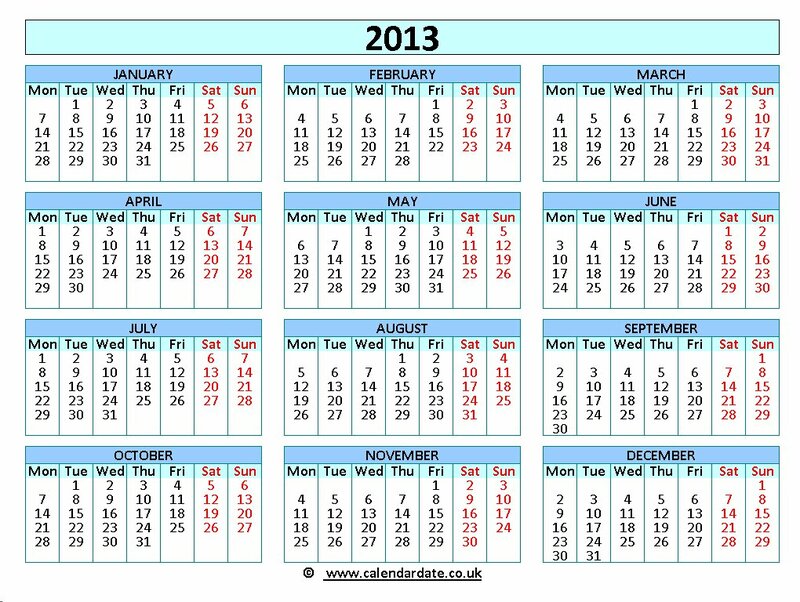 Here is the latest colour, printable 2013 calendar. 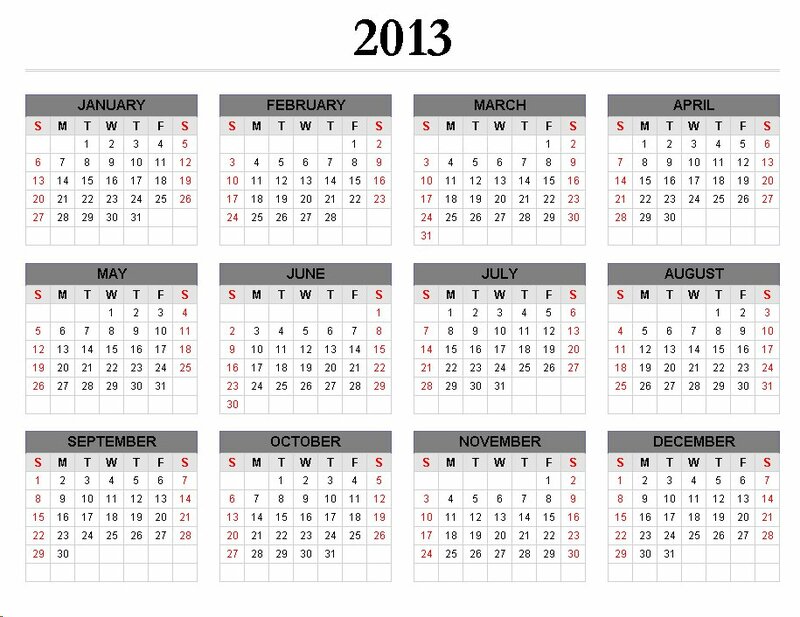 This 2013 calendar is a new format that I am trying. 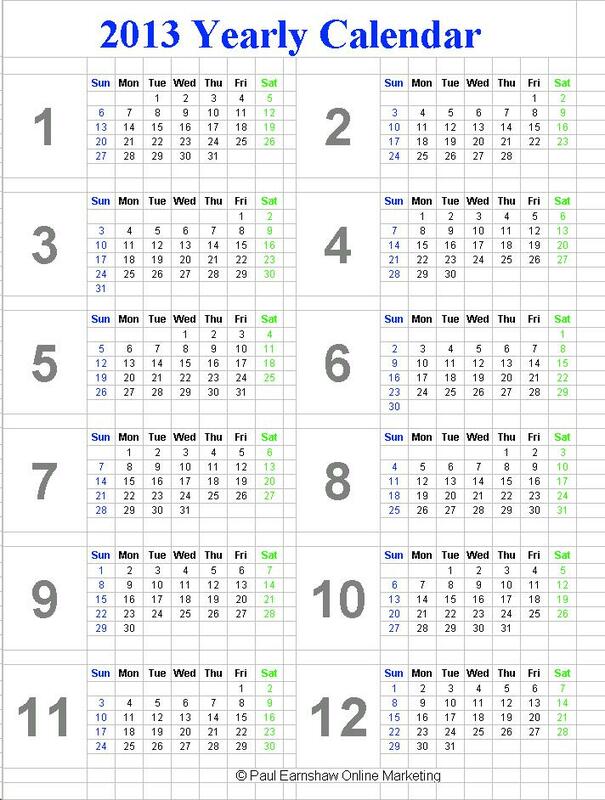 It is the 2 x 6 months calendar format as used on the long narrow hanging calendars that most people have in their kitchen to serve as a birthday, meeting, school holiday, kids activities, holiday calendar. Wishing every one who downloads and/or prints my calendars a happy Christmas and prosperous new year in 2013.